“Hundreds” of production jobs could be created at TV3 after the broadcaster today announced the name of its new HD studio in partnership with Sony International. 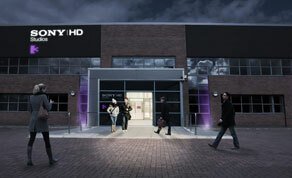 The new state of the art Sony HD Studio Dublin is expected to be open as early as November after TV3 signed a landmark deal with Sony to fully equip the facilities with high-tech HD cameras. Speaking exclusively to IFTN, TV3’s director of sales and marketing Pat Kiely, said that “dozens, up to hundreds of jobs” could potentially need to be filled if productions begin to pile up in the new facilities. The new studio, which is located at the station’s Ballymount premises, is 500 sq metres, almost twice the size of TV3’s current studios. It is now Ireland’s largest purpose-built TV studio. The aim is to attract outside production companies that are looking for filming premises, as well as to move existing TV3 productions over to the new studio within time. Although Kiely wouldn’t comment on what particular shows will move to the facilities, the inclusion of an audience seating area paves the way for shows like ‘Tonight with Vincent Browne’ and ‘Midweek’ to move into audience participation formats. Other TV3 shows which are currently shot off site, such as Sideline’s ‘Take Me Out’ and ‘Junior Mastermind’, which were filmed in The Helix and the Royal Irish Academy, will now have the opportunity to film in studio on TV3’s grounds. TV3 has invested up to €10m in the overall transitions, from transitioning to HD cameras and the studio’s overall development. It has signed a multi-year deal with Sony, the first of its kind for Sony and an Irish company. Recently, Sony signed a similar but not as weighty a deal with ITV whereby the company kits out ITV’s Salford, Meridian and Leeds studios. “Sony have certainly partnered with broadcasters around the world in terms of fit out of studios, but the nature of this deal is a first for Sony whereby it is a full fit out but it’s a broader commercial relationship that includes naming rights and other marketing elements to it,” said Kiely. These other elements include all Sony businesses in Ireland securing exclusive first usage of the new studio and “certain rights” regarding its engagement to TV3. Sony has long been an advertising client of TV3. It’s on TV3 premises and we’re very proud that the Sony HD Studios Dublin will be the best TV studio facility in the country bar none "
As well as attempting to attract both national and international productions, the new studio also contains facilities for a production companies to set up shop if it requires a base for a long term production. Kiely added: “There is actually a second studio in our new facility which will be a smaller studio and we are likely to put in automated infrastructure in there, including technology. Kiely also revealed the broadcaster is “looking at channels” in anticipation to launch a TV3 HD channel, but admits it has a “number of issues to sort out before then”, most notably the DTT debate. “I think we all know that in a fairly short period of time, as in the next number of years, all channels will move to fully HD, so certainly it’s our plan to fast track that transition, particularly with the studio and with other investment we’re putting in here,” he said.